Airtel second in ranking after the Vodafone company. Is a big company with great services which are affordable and widely spread in India? Airtel provides broadband and fixed telephony services thus gaining popularity among the Indian population. They ensure to produces new gadgets in the market therefore improving their internet services. Today we shift the focus on the 4G WI-FI router from Airtel company. Making its way at many users home the gadget is simple to use and doesn’t require experts in configuring. With few instruction Airtel users can set and configure the router. 4G hotspot router is portable helping one access the internet anywhere. To connect to your devices, say computer, smart phone etc. The user has to set and configure the router according to the requirements given. 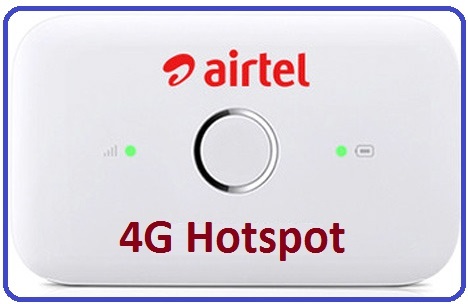 How to configure the Airtel 4G WIFI hotspot router? The process is easy and takes less than 10 minutes if done right. One has to follow the steps strictly to enjoy internet from this gadget. Get your router and open the back cover of the router. Each router has a battery inserted and information indicated. Now remove the battery and copy all information written on it. Place the battery back and now switch on the router. Using your device example laptop or computer connect the hotspot of the Airtel router. To note the hotspot, it will be shown using the name of the router. Next enter the default password and then connect to the Airtel hotspot. Check whether the laptop has connected to the internet/ hotspot. If so now open your browser of and key in the IP address 192.168.1.1 on the address space. Enter the default password and user name to help logging in. After some time, the Airtel hotspot router page will display. Now go to the setting icon and click on it. Using the setting option configure the profile settings. Go to the SSID options and delete the default name and enter the name you prefer. Note this just one step of configuration, the 4G Airtel WI-FI router has four other ways of configuring. They all work ensuring the internet is well conveyed. Go to the setting of the router which will appear on the screen of your laptop. Select the modify password tab. The system will give blank spaces on the screen, fill in the current password. Followed by the new password, you have to confirm the password. Now the password is change with just few steps. Keep the password a secret to avoid changes or overuse from unknown people. The router can be configured using all smart devices, laptops, computer and even smart mobile phone.